Bella loves Anna. In fact, Bella loves Anna SO MUCH that she wants to be just like her, and copies every single thing she does. 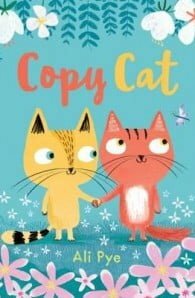 But like all little kittens, Bella and Anna get into a bit of a tangle …Between Bella’s wobbly efforts with a hula-hoop, her disastrous ballerina twirls and her catastrophic fancy dress attempts, Bella never quite gets the hang of things. And then Anna suddenly snaps – she’s had enough of Bella being SUCH a copycat! What is Bella going to do? 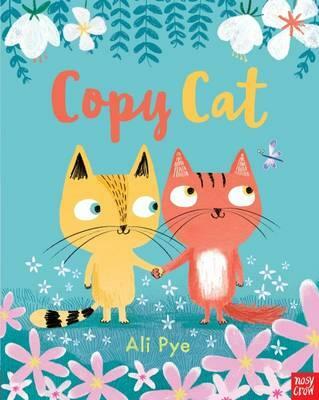 This author-illustrator debut from rising star Ali Pye has an adorable troupe of colourful kittens and vibrant illustrations too.